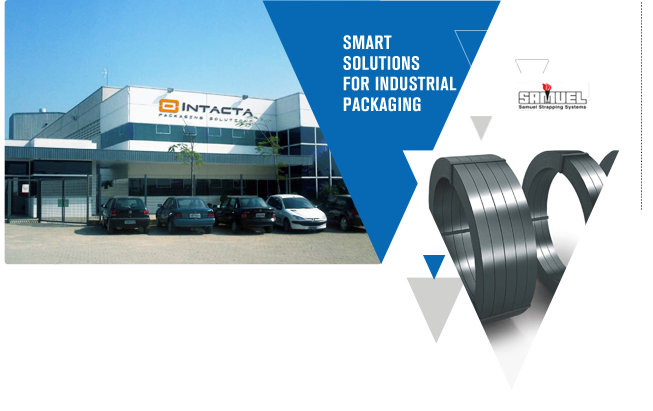 Intacta offers complete packaging systems for cargo unification, palletization and closing for several industrial segments. As a part of Armco Group since 2007, Intacta has entered into a significant technological partnership with the Canadian company Samuel Strapping System, which allows the company to provide the national market with the most modern solutions for systems for application of packaging strips and wrappers, from manual equipment to high-productivity automatic lines available all over the world. Support to study and development of packaging solutions. Technical Assistance and supply of spare parts for machines and tools.